Journalism isn’t a bad profession. It can have its risks, dangers and limitations, depending on what you do and where you do it. But, by and large, it isn’t life-threatening. Unless, like Sandra Rodríguez, you live just on the Mexican side of the border with the United States. Sandra works for El Diario, a newspaper in Ciudad Juárez. She investigates crime and corruption in a city torn apart by the ‘war on drugs’. This is a place where journalists are routinely murdered for just doing their job. The courage and persistence of Sandra and other reporters, who have lost colleagues when death threats turned real, takes your breath away. It shows a commitment to freedom of speech, to talking truth to power, way beyond what most of us will ever be called upon to prove. 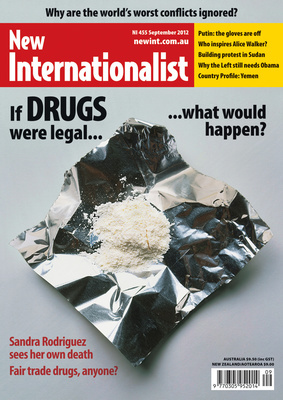 Writing in this month’s issue of New Internationalist on legalizing drugs, Sandra startlingly evokes what it is like to live and report, day-by-day, in the cauldron of impunity. And while we are on the subject of journalism, why is it that some conflicts get saturation coverage, while others are ignored? 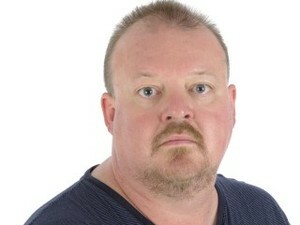 Nick Harvey explores this in an article that delivers some uncomfortable home truths. Finally, we are pleased to welcome the wonderful North American writer Alice Walker to these pages. She turns a simple Q&A into a kind of poetry that encompasses dust motes, the Dalai Lama, Fidel Castro and the Universe. 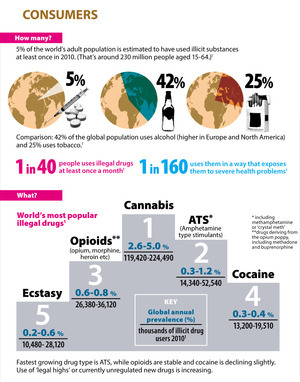 PS: Special thanks to Tony Jackson for his help and tireless lobbying on the drugs issue. 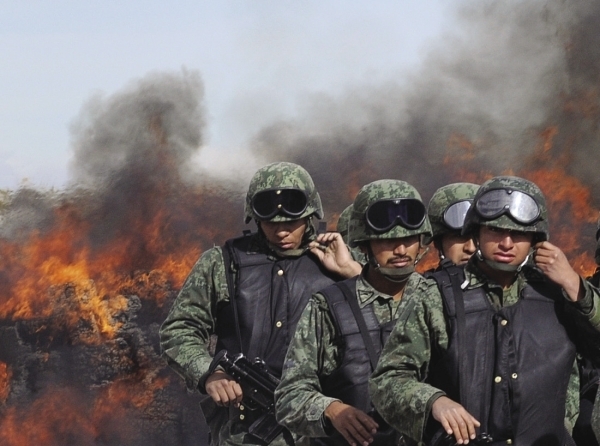 Mexican soldiers burn 7.6 tonnes of cannabis seized in Ciudad Juarez. Illegal exports of marijuana into the US account for 25% of cartel income. Award-winning reporter Sandra Rodríguez Nieto on the dangers of writing from the drug-war frontline. It may seem counter-intuitive, but this is just one more reason for voting for Barack, says Mark Engler. Professors Mark Wheeler and Ilan Kapoor go head-to-head. The authorities are cracking down on dissent in Russia, writes Victor Sonkin.